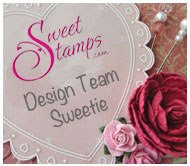 This week at Sweet Stamps we have our 121st challenge. 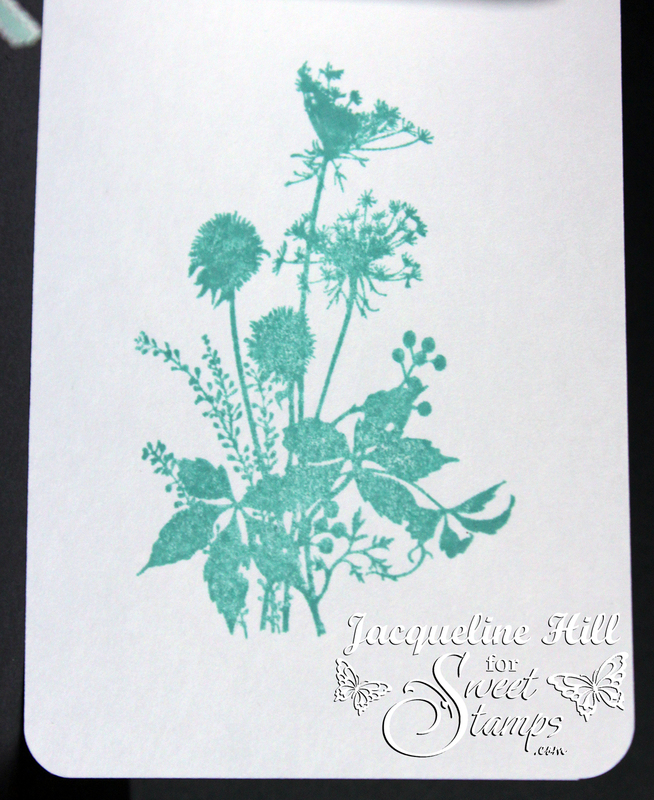 I used the Queen Annes Lace Silhouette to create a background. 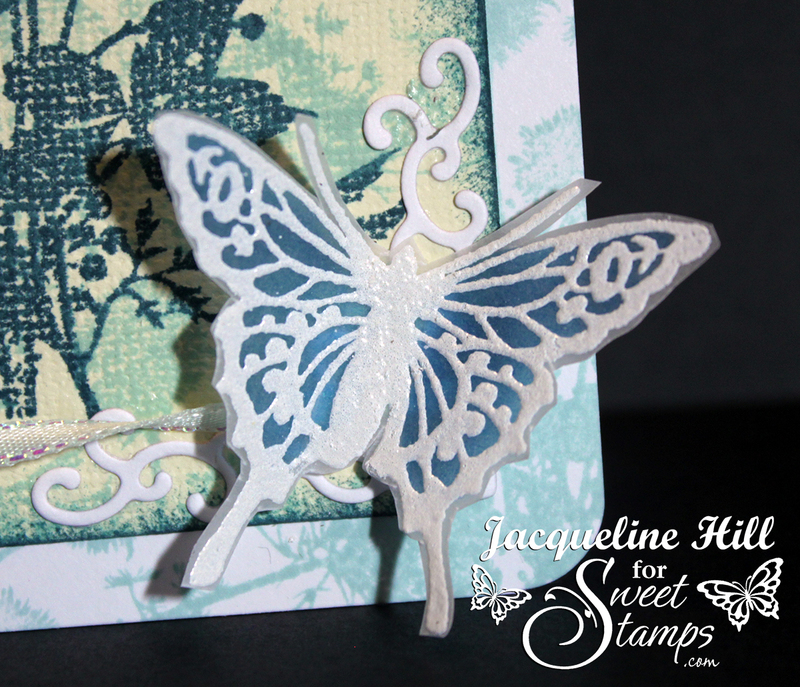 Butterfly embossed with fine detail white on parchment paper. Colored in marker on the back. Love your butterfly! Super card. Love the butterfly - awesome card. Gorgeous! 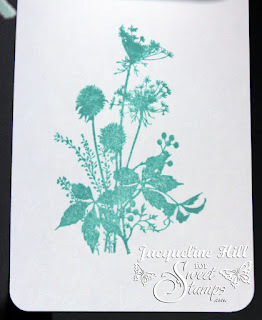 Love the background you made with Queen Anne's Lace Silhouette! 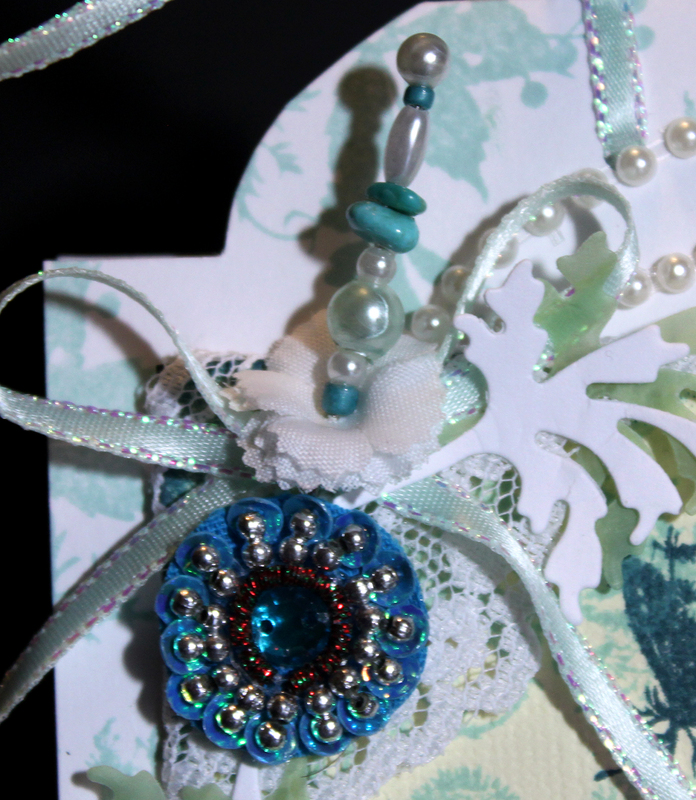 Beautiful embellishments and such a pretty parchment butterfly! 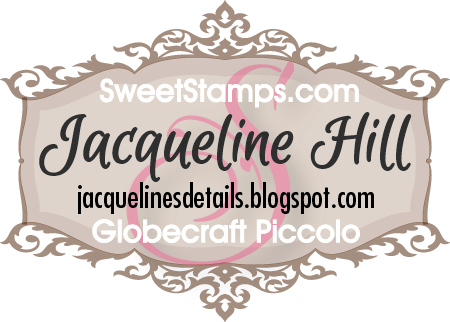 WOW- Love everything about your stamping, colors, parchment and embellishments!!!!!!!!! Fantastic card. I love all the little details. 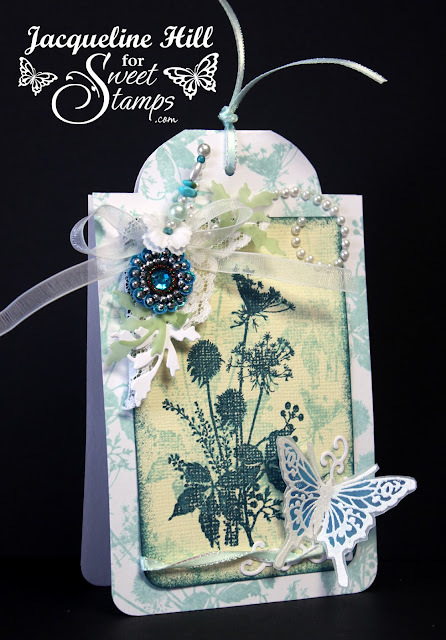 Love how you made your background on the card and the use of the various shades of color. 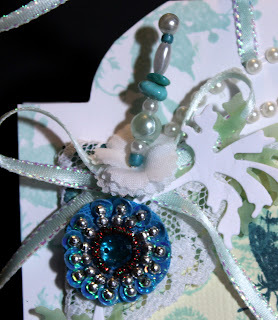 Beautiful added embellishments, love the parchment butterfly. Awesome!! Stunning tag!!! Love the variation of colors and the parchment butterfly and leaves!!! Gorgeous. Fantastic work! Your butterfly is so nice! I love your pin too! 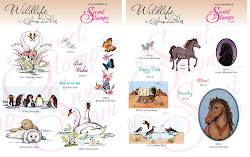 Everything is just lovely! The parchment butterfly is very pretty and looks great with the silhouette and embellishments, very pretty tag. All that's needed here is a WOW! So beautiful!!! !